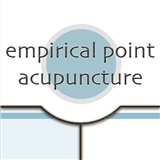 Empirical Point Acupuncture (Philadelphia) - Book Appointment Online! Empirical Point Acupuncture is the premier center for Chinese Medicine in the Philadelphia area. Headed by Sharon Sherman, the practice presents patients with a spacious, supportive environment in which to discuss symptoms, diagnosis, and treatment. With offices in the Chestnut Hill neighborhood of Philadelphia, Empirical Point Acupuncture combines accessibility with a holistic approach to patient care. In addition to being a licensed practitioner of Oriental medicine, Ms. Sherman holds the highest available credential from the Pennsylvania State Board of Medicine and the National Certification Commission for Acupuncture and Oriental Medicine. She leads Empirical Point Acupuncture in providing comprehensive patient care through individualized treatment. Patients visiting Empirical Point Acupuncture can receive a full range of medical services. This was my very first visit to Empirical Point Acupuncture and I can express nothing but positive comments. As other reviews have stated, Sharon is absolutely the best in her field. I am fortunate enough not to have any health concerns so my appointment was for an examination and acupuncture. The experience was quite profound! Sharon is pleasant and extremely easy to talk to, an absolute professional. So looking forward to my next acupuncture appointment...... Thank you Sharon!